(CBS News) In 1994, Mitt Romney was a political rookie and the economy was booming -- a far cry from today's political and economic conditions. Still, President Obama's re-election campaign is turning to tactics used against Romney in 1994 to attack the Republican candidate in this year's presidential race. The Obama campaign on Monday launched a multi-pronged attack against Romney's record as the head of Bain Capital, the private equity firm he founded. The line of attack is not surprising: It strikes at the heart of Romney's chief selling point -- his business experience and economic expertise. Romney's record at Bain was subject to attacks during the Republican primary, but the candidate has been facing similar attacks since his 1994 Senate race against incumbent Democratic Sen. Ted Kennedy in Massachusetts. In the ad the Obama campaign launched today, workers from GST Steel criticize Bain Capital for its takeover of the company. "It was like a vampire. They came in and sucked the life out of us," Jack Cobb says in the ad. Similarly, in 1994, the Kennedy campaign ran a series of ads featuring workers laid off by Ampad, a company Bain Capital purchased in 1992. A worker in one ad says Bain "basically cut our throats." Professor Jeffrey Berry, a political scientist at Tufts University, said the negative advertising "had a devastating impact on Romney's senatorial bid." "The polls showed that the ads were a turning point in the campaign and... forced Romney into a defensive stance," Berry told Hotsheet. This year, the Obama campaign has the luxury of building on the negative image Romney's primary opponents established with attacks on Bain, calling the company a band of "vultures" waiting to loot failing companies. However, Berry said that means the attacks won't pack the same punch. "This time around, people have a lot more information about Mitt Romney," he said. "In 1994, the Kennedy campaign was filling in a lot of blank space, they were helping to define him." Still, the premise of the attack ads holds true, said Tad Devine, a former Kennedy adviser who helped produce the 1994 ads. "Romney has made his record of job creation in the private sector the centerpiece of his campaign -- it goes right to the heart of his message," Devine told Hotsheet. Moreover, he said, "These type of testimonial attacks from real people who talk about how their lives were affected is very effective." If anything, Devine said, the line of attack could be more effective in 2012 because of the public's distrust of Wall Street - especially from lower-income Americans struggling to find jobs as well as middle-income Americans hurt by the economic collapse. "The country in 2008 went through a brutal economic downturn caused by the financial sector," he said. "I think people are a lot more suspicious of people like Romney who went into banking and made enormous profits at the expense of others." Devine said the Romney campaign's response to the 1994 attack ads was "awful." "I think Mitt Romney was stunned by the attacks and completely taken off stride," he said. Romney's unwillingness to meet with the workers of Marion, Indiana -- some of whom were featured in the Kennedy ads -- turned it into a free media story, Devine said. During this year's Republican primary, the Romney campaign responded to the Bain attacks by calling them an attack on "free enterprise" and focusing on the jobs that Bain helped create. "That's not going to fly in a general election," Devine said. "Certainly, Democrats won't accept that, and I don't think independents will either. They're going to want more information on his record." In their response today, the Romney campaign said it welcomes the Obama camp's attempt to talk about jobs. "Mitt Romney helped create more jobs in his private sector experience and more jobs as Governor of Massachusetts than President Obama has for the entire nation," campaign spokesperson Andrea Saul said. Turning the focus squarely on the president, she added, "President Obama has many questions to answer as to why his administration used the stimulus to reward wealthy campaign donors with taxpayer money for bad ideas like Solyndra, but 23 million Americans are still struggling to find jobs. If the Obama administration was less concerned about pleasing their wealthy donors and more concerned about creating jobs, America would be much better off." 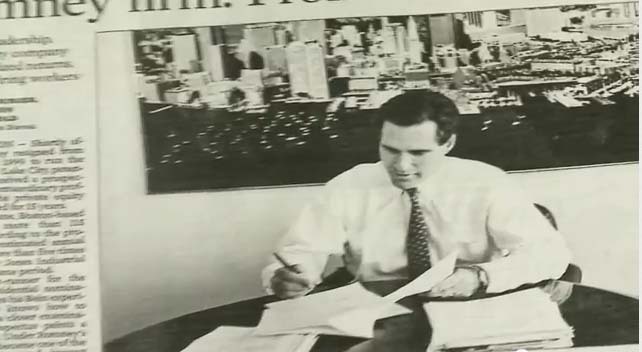 Later in the day, the Romney campaign released a minute-long video featuring a Bain Capital success story: Steel Dynamics, a Ft. Wayne-based steel company in which Bain invested in 1993. The video, which features worker testimonials, is called "American Dream" and notes that the company now employs more than 6,000 people. Berry said he would now expect the Romney campaign's response to be "less about Bain and more about the failings of the Obama administration," with a continued focus on monthly job figures. While some conservatives charge Mr. Obama wants to avoid talking about jobs since it is a vulnerable issue for him, Berry said the president "has to dent the image of Romney as an economic fixer-upper... If Obama doesn't hammer away at Romney's record, it's political malpractice."